The roof is a critical component of any structure. Regardless of the climate, you will want to assure the roofing system in your structure is performing correctly. The inspector will take the time to evaluate the roofing system from the roof edge, roof top and the attic. Some of the components in your inspection report will show the type of material condition and photos of the interior and exterior of the roof. If damages or signs of weakness are observed at the time of inspection, the observations will be noted in the report such as missing tile or shingles, sagging at the ridge of the roof etc. The Roof Condition Certification is known officially by Florida’s Citizens Insurance Corporation as the CIT RCF-1 standard form. This form is to document the age and current condition of the home’s roof, to certify its durability and resistance to storms or hurricanes. There are many signs of possible moisture intrusion such as peeling paint, surface stains, musty odor in the home, allergy/asthma symptoms didn’t start until you moved into the home and they tend to go away whenever you’re not there, areas around the foundation pool whenever it rains, the sprinkler consistently sprays onto the exterior walls, you hear water dripping whenever it rains, and/or you see visible growth inside the home just to name a few. Our inspectors perform a visual inspection for signs of water damage with hand held moisture meters. These meters determine if building materials are wet. Pro-actively seeking the source of the water/moisture intrusion can save you from a having a “leaky” wallet. Not determining if your home has water damage can get expensive real fast. Check out some numbers caused by water damage here. A swimming pool is one of the most valuable assets in a home and it can be the place your family and friends share some of the best times of their lives. Or it can be a headache that just won’t go away. The objective of our limited visual pool inspection is to determine if the pool and related equipment may benefit from a more thorough inspection by a qualified pool specialist. 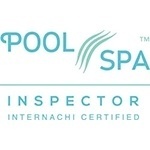 The scope of our inspection includes a limited visual inspection of the pool electrical system, primary circulation system, pool barrier system, the pool interior surface and surrounding deck. We do not dismantle components such as filters, pumps and heaters. We do not test water chemistry. We do not test or operate pool heaters, cleaning systems, control valves, chemical injectors or similar components. Here is something most home inspectors won’t tell you: If you see visible mold, you usually do NOT need a mold test. Per the EPA, since no federal limits have been set for mold or mold spores, meaning there are no federal guidelines yet to determine what amount of mold spores are safe or dangerous, sampling cannot be used to check a building’s compliance with federal mold standards. Surface sampling may only be useful to determine if an area has been adequately cleaned or remediated. This means if you can already see it, then there is no question that it is present and needs to be remediated. The type of mold and whether or not it produces any toxins is irrelevant as to the method in which it gets removed. However, does that mean you should never have a mold inspection? The short answer is no. 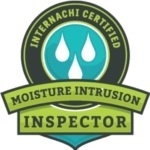 If there are any signs of current or prior water damage, or if the smell of mold is present, it could be a good idea to have a mold inspection completed. Depending on your preference and how much you want to spend, it could be as easy as having a mold swab taken, or more exhaustive by have multiple air samples taken. Mold remediation costs can get pretty high pretty fast, so having a mold inspection completed by On The Mark Home Inspection and getting the test results BEFORE purchasing the home can save you thousands of dollars, along with the intangibles created by the inconvenience of the restoration process and any symptoms experienced by not noticing the mold up front. *NOTE: We do not perform any type of mold assessment’s on their own, and any testing must be in conjunction with a home inspection being performed. Any visible mold must be an aggregate of 10 SF or less. Furthermore, we do not perform any type of mold remediation/removal, nor are we able to provide any specific company recommendations. Please check out what Florida Health has to say about Mold.